All meals are important to your overall health, but breakfast is the meal that sets the tone for the rest of your eating habits. If you grab a doughnut in the morning just because it's convenient (and delicious), you might just find yourself reaching for fries in the afternoon and pizza at night. To avoid this particular fate in Raleigh apartments, it may be time to adopt some better habits that actually work for you in the morning. You don't necessarily need to subscribe to each new idea you hear about or read on the internet. Food science is constantly in flux, so it sometimes makes more sense to just practice basic habits rather than jumping on the latest food trend. Listen to your body and try to understand more about what it's responding to. Maybe you need more protein or more fiber in the morning, or maybe your digestion system would prefer that you avoid the temptation to eat and run. You don't need to read a diet book to tell you any of that! Hard-boiled eggs, bran muffins, yogurt: These are all breakfast foods that are either easy to prepare or ready to eat. 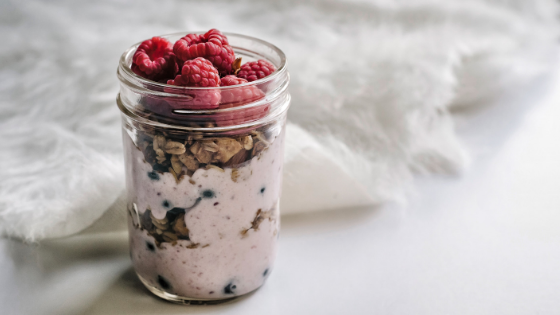 If you normally wake up in the morning with only a vague inclination to eat breakfast, having grab-and-go items on hand is a little trick that can make it easy to satisfy that small hunger without going overboard. Plus, you won't feel resentful of the time it takes to make the food either, which means you'll be more likely to adopt this habit. If you like having a big breakfast but don't have extra time to sit down and eat in the morning, then takeout containers can be your new fast-food substitution. It's not ideal to eat when you can't actually slow down and enjoy the meal, but sometimes you don't have a choice. At least this way, you still get some food in your system. Breakfast really can go a long way if you want to build healthier habits. If you're looking for a new apartment that can give you all the tools you need, consider The Tribute. Call us today to see how we promote a better balance between work, life and your favorite passions.